Our Computer Cable Store™ Cat6 Modular Connectors - RJ45 - Shielded - 100 pack comes with Load-Bar Connectors that are perfect for building custom length Shielded Cat6 network cables. Our Shielded CAT6 modular Load-Bar connectors are manufactured from a clear poly-carbonate and built to withstand everyday abuse. 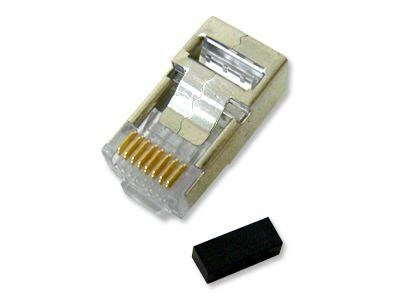 With our quality Shielded Connectors you can expect error free data transfer. Shielded and comes with load bars. Great connectors.